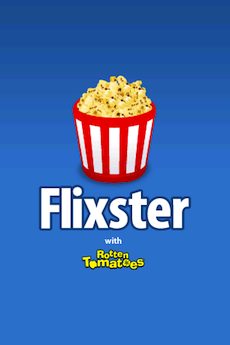 It was almost exactly two years ago that Flixster bought one of the original popular movie apps for the iPhone from a college sophomore. 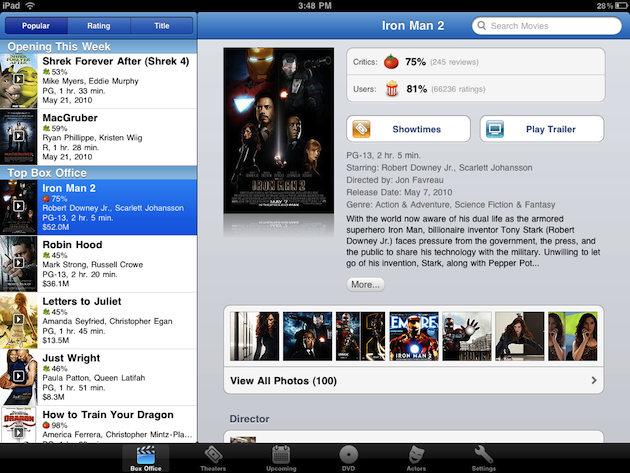 Now, two years later, their Flixster iPhone app is the top movie application on the platform. It’s also the top movie app on the Android and BlackBerry platforms as well. All told, the app has just crossed a massive 20 million installs. What’s perhaps even more incredible is that among these users, 70% of them are active in the past 90 days. CEO Joe Greenstein credits the companies combination with popular movie review aggregator Rotten Tomatoes (which they acquired from News Corp. in January). “The combination of Flixster and RottenTomatoes has helped us pull away as the go-to application in the movie category – bringing together everything you need from critics, other users and your own friends to make the best decision about which movie to see,” Greenstein tells us. But Flixster isn’t sitting around content with their mobile success. The company has been working hard on experiences for other devices as well. They have an iPad app that just crossed 500,000 downloads. “iPad is our most heavily used app yet with over 5 visits per user per month,” Greenstein says. He also notes that they just launched their first simple apps for the Roku box and for Sony TVs. So far, those have garnered 30,000 users in just 10 days, according to Greenstein. In terms of what’s next, it’s something I’m very excited for: Rotten Tomatoes 2.0. It will have “some major new features and improvements,” is all Greenstein will say. They’ll also be working on bringing Flixster to at four more platforms this year, Greenstein says. We also just launched our first tiptoe into the Connected TV devices with simple apps for Roku boxes & Sony TVs. Over 30,000 users in the first 10 days!